Dr. Cassidy was an investigator with the Bone and Joint Decade 2000-2010 Task Force on Neck Pain and Its Associated Disorders. The work of this international task force affirms the safety and benefits of chiropractic care for people with neck pain—a condition frequently treated by doctors of chiropractic. The Task Force initiated this new population-based, case-control and case-crossover study, which appeared in the Feb. 15, 2008 edition of the journal Spine. 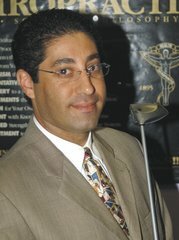 The study, which analyzed nine years’ worth of data from a population of 110-million person years, concluded that vertebrobasilar artery (VBA) stroke is a very rare event and that the risk of VBA stroke following a visit to a chiropractor’s office appears to be no different than the risk of VBA stroke following a visit to the office of a primary care medical physician (PCP). The study goes on to say that any observed association between VBA stroke and chiropractic manipulation—as well as its apparent association with PCP visits—is likely due to patients with an undiagnosed vertebral artery dissection seeking care for neck pain and headache prior to their stroke. Dr. Narson is a 2-term past president of the Florida Chiropractic Association’s Council on Sports Injuries, Physical Fitness & Rehabilitation and was honored as the recipient of the coveted Chiropractic Sports Physician of the Year Award in 1999-2000. 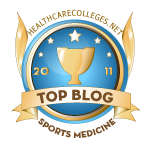 He is a Diplomate of the American Chiropractic Board of Sports Physicians and practices in Miami Beach, Florida at the Miami Beach Family & Sports Chiropractic Center; A Facility for Natural Sports Medicine. Chiropractic manipulation including manipulation of the cervical spine is extremely safe as long as proper history and examination is performed prior to treatment. Agave Nectar...Is This The Latest Health Scam?